DA Kentner interviews Ellen Datlow and Terri Windling. The Qwillery interviews Tina Connolly. 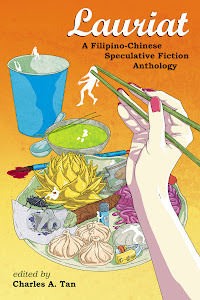 Asian American Writers' Workshop (Vandana Singh) interviews Ted Chiang. Geek's Guide to the Galaxy interviews Junot Diaz (podcast). My Bookiwsh Ways interviews Bob Fingerman. Flickering Myth (Trevor Hogg) interviews Randy Goux. Nerds Feather interviews Paul Kincaid (Part 2). Omnivoracious (Jeff VanderMeer) interviews Stephen Graham Jones. Weird Fiction Review (Nancy Hightowr) on Unraveling the Gaze: Beth Cavener Stichter’s “Come Undone” Exhibit. Book View Cafe (Deborah J. Ross) on Not Even Mein Kampf: Why Hateful Books Should Not Be Banned. The King of Elfland's Second Cousin on Thoughts on Narrative Framing Devices. My Bookish Ways (Claire Ashgrove) on Building Worlds. Tor.com (Kevin J Anderson) on Rockin’ That Steampunk. Kirkus Reviews (John DeNardo) on Can't-Miss Science Fiction and Fantasy Books for October. Deborah J. Ross on Round Table: Animals in Fantasy (Part II). Michael May on 31 Days of Dracula | John Carradine (1944). Grasping for the Wind (Steve Bein) on What Genre Is This, Anyway? Tor.com (Ryan Britt) on Most Citizens of the Star Wars Galaxy are Probably Totally Illiterate. Huffington Post (Space.com) on Saturn Moon Titan Could Be Explored WIth 'Space Boat' For Methane Lakes, Scientists Say. The Bathroom Monologues on Books That Shaped How We Saw Fiction. Salon (Julianne Escobedo Shepherd, Alternet) on Eight best time-travel flicks. io9 (Charlie Jane Anders) on All the Science Fiction and Fantasy Books You Can’t Miss in October! Blastr (Dan Roth) on 60 hilarious sci-fi spoof covers from 60 years of MAD magazine. Jonathan McCalmont on Cowardice, Laziness and Irony: How Science Fiction Lost the Future. Marie Brennan on Books read, September 2012. Cory Doctorow on A Wrinkle in Time, worthy graphic novel adaptation. Robot concepts by Marcin Jakubowski. Landscape Concept Art by Thom Tenery. The Queen by Lawrence Williams. The Best Designed Book Covers of 2011. Sci-fi Digital Art by Lucas Kuta. More Ways You Can Help Tom Piccirilli. The Orbital Drop - Orcs vs. Dwarves. Amazon Studios Has Optioned Its First Novel. Announcing a 28-book audio sale. Children's Literature Central Michigan University, Children's Literature Assistant Professor Tenure Track Position. Electric Velocipede is Looking for Slush Readers! Interview with Brian Kolm of Atomic Bear Press. Publishers, Booksellers, Librarians Gear Up for Star Wars Reads Day. 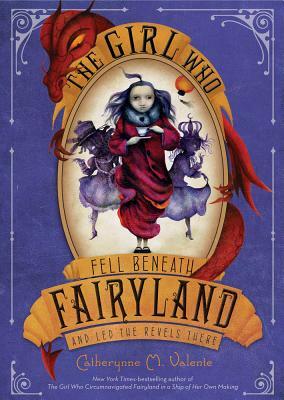 The Girl Who Fell Beneath Fairyland and Led the Revels There by Catherynne M. Valente.